Sparrow Dynamics™ is a brand identity solely owned and operated by Sparrow Product Development, Inc. (“SPD”). SPD is a Christian-owned, Northern California based company providing product development and manufacturing services. They provide their services to other companies, but their primary efforts center on developing their own key brands and product lines within various industries that are of interest to their team members. 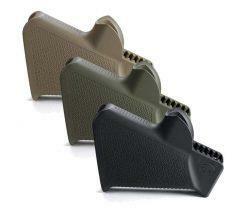 The firearms accessories industry is currently among the areas of focus for their company. The heart of the company lies with their outstanding product development, sales and marketing, and production teams and their commitment to providing outstanding products and services. Because their company understands the importance of constant improvement in all aspects of their work, their talented team members are always learning how to better fulfill the product needs within their industries. Due to these efforts, for over fifteen years we have successfully provided only the most innovative and high-quality products possible within both the US and International marketplaces.